In Part One, we learned that the true carbon footprint of installing hardwood floors is determined by how much total energy was used to manufacture it. Whether it be conventional lumber, engineered wood or bamboo, reduced energy use during manufacturing makes hardwood flooring most environmentally-friendly. The essential question is: What’s best for the environment? Being more than just assessing the tree felled in the forest, calculating environmental impact is more complex than it appears. Homeowners and builders should assess the composite environmental impact at all times. According to McGraw-Hill Construction, 52 percent of home builders believe that green building projects are best initiated at the concept design phase[i]. As of 2006, a full 92 percent of builders used green materials because it was the “right thing to do” as compared to “lowering lifecycle costs” (87%)[ii]. “Competitive advantage” placed third. 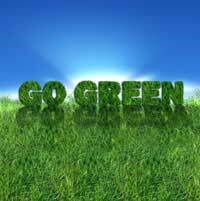 Best ecological building practices are based on the most ecological materials. In the McGraw-Hill study, builders identified that they preferred to use oriented strand board (OSB) rather than plywood in engineered building materials [iii]. OSB uses up to 50 percent more of a log than conventional lumber, and it utilizes tree species which would not otherwise be mixed into wood building materials. The authors of a 2008 study [iv] included specialized wood treatments in their assessment of how lumber production energy was used. Thermal processes such as walnut steaming, facility heating and cogeneration were deemed as “significant” contributors to overall carbon emissions in hardwood lumber production. Upgrade, or refurbish, aged dry kilns (including progressive drying kilns for hardwood). Improve sawing practices (as outlined by the US Department of Agriculture [v]). Increase air drying of lumber. Wood holds two ecological advantages over non-wood flooring products: Wood is carbon-neutral, and wood sequesters (stores) carbon [vi]. Of course, wood lovers know and cherish other benefits, such as a pleasing scent, aesthetic beauty, and performance. Many stakeholders may have purely visceral reasons for installing hardwood floors in homes adorned with environmental consideration. However, hardwood production is more energy-intensive than that of softwood manufacturing. This is due to hardwood’s generally higher density, which requires more energy to cut. Since hardwoods are also dried to lower equilibrium moisture content (EMC), kiln charges are run longer than on softwoods. Typically, hardwoods are also cut to thinner dimensions, so more saw passes are required, and more energy consumed. As part of the hardwood flooring lifecycle, moisture content management helps to optimize eco-friendliness by ensuring that hardwood flooring lasts as long as possible. This can be 100 years if the wood flooring is properly installed and maintained. Talk about the ultimate return on investment, both environmental and financial. Moisture content is the proportion of water vapor held in wood cell walls and nuclei, and MC fluctuates with relative humidity (RH) levels. This is not a malfunction, but a natural imperative. However, it is crucial to assure that hardwood flooring does not contain excess moisture content. A wood moisture meter is a handy and precise tool to measure hardwood moisture content. Technology provides a number of key features for the modern wood moisture meter. It can be programmed to account for species-specific wood density, and a pinless wood moisture meter can non-invasively assess moisture content up to three-quarters of an inch into the wood. Assessors can assure maximum hardwood longevity by keeping a hand-held wood moisture meter in the utility drawer. That’s an answer that will carry beyond the building into environmental conservation as well. [i] Bernstein, Harvey M. Green Building Supermarket Report (2006). McGraw-Hill Construction; National Association of Home Builders (NAHB). [iv] Bowe, Scott A. and Richard D. Bergman “Environmental Impact of Producing Hardwood Lumber Using Life-Cycle Inventory.” Wood and Fiber Science: 40(3), pg. 448 Abstract Monona, WI: The Society of Wood Science and Technology (SWST), 2008. [v] Lewis, David W. “Sawmill Simulation and the Best Opening Face System: A User’s Guide (FPL-48).” Madison, WI: US Department of Agriculture, 1985. [vi] Bowe, Scott A. and Richard D. Bergman “Environmental Impact of Producing Hardwood Lumber Using Life-Cycle Inventory.” Wood and Fiber Science: 40(3), pp. 448 – 458. Monona, WI: The Society of Wood Science and Technology (SWST), 2008, pg. 9.